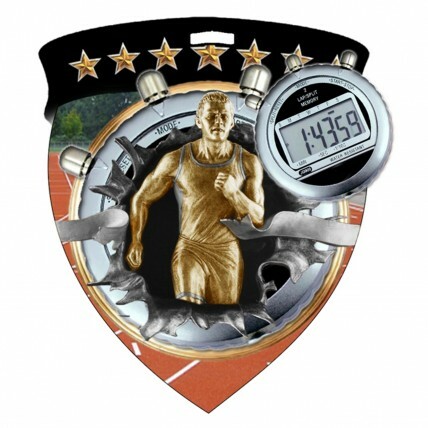 For many track stars their speed increases when there is a beautiful award waiting for them at the finish line. 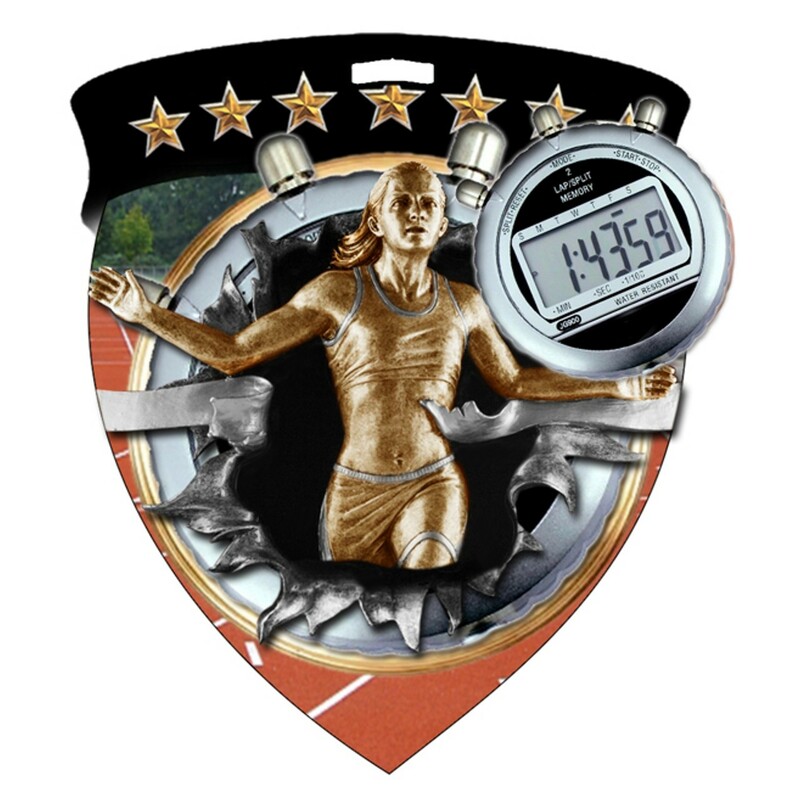 The Color Burst Track Medal features a golden figure exploding with speed from a stopwatch centered on the shield shaped medallion and a neck drape that depicts a full color track with stands filled with people. 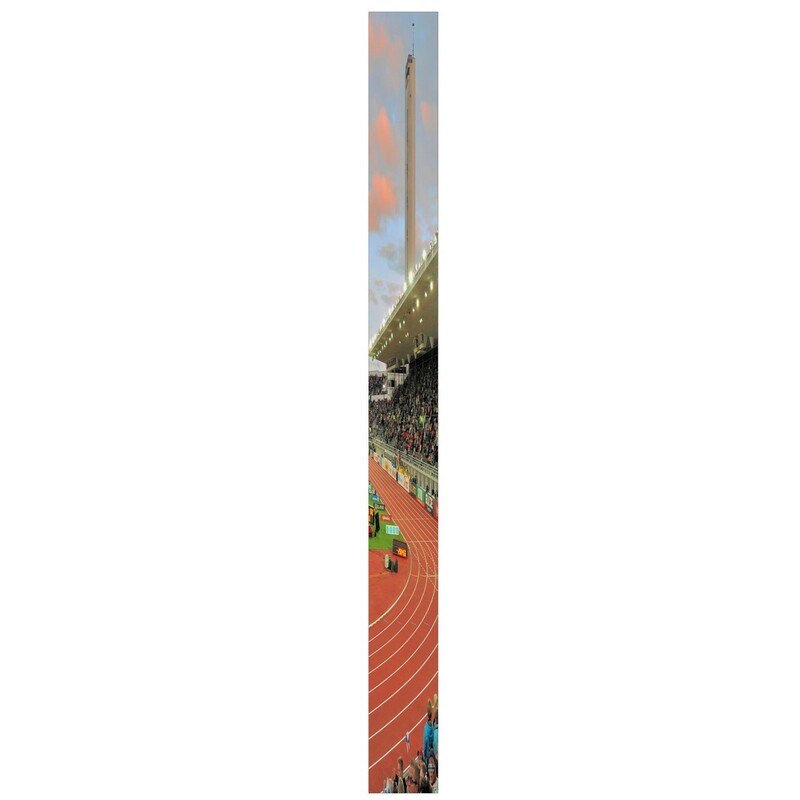 Available in male and female, use these vibrant medals use to celebrate a great meet or a great season with your track members.